Fr. 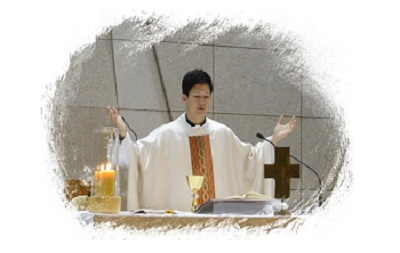 Andrew Chung, a Korean American newly ordained priest from Los Angeles, celebrated his first Thanksgiving Mass at the chapel of Daegu Priory on Saturday, June 21. He was ordained to the priesthood by L.A. Archbishop Jose Gomes on May 31, 2014. His first assignment will be at St. Mariana de Paredes, Pico Rivera. He thanked the sisters of St. Gregory of Nazianzen Parish for the continuous prayers and spiritual support on his journey of following Jesus Christ, his primary inspiration.